Ask the Readers: What's the Cheapest Thing You've Ever Done? My goal is to think less about the money and try to just enjoy life. We’ll see what happens! Please name your komodo dragons Mr. Roboto, Morpheus and Captain Sparkles. My goal is to put 300 things (about one per day) of my stuff for sale online or just throw them away if nobody wants it. OK, now on to today’s question, What’s the cheapest thing you’ve ever done? This question was inspired by Episode 30 of The Financial Independence Podcast, hosted by The Mad Fientist. In this episode, MadFi interviews his own wife about their journey. He’s American, she’s Scottish, and they met in Scotland during his junior year when he was studying abroad. After that year, he moved back to the US to finish college, and she stayed in Scotland, but they continued dating, and would travel to see each other. During a visit to Switzerland, which was chosen because of cheap airfare, they discovered that the flight was the only inexpensive thing about the country. So while this move was really cheap, I was sure I had some that were on par with it. Perhaps our upcoming Valentine’s Day Dinner plans would count? It’s a future cheap, but cheap nonetheless. 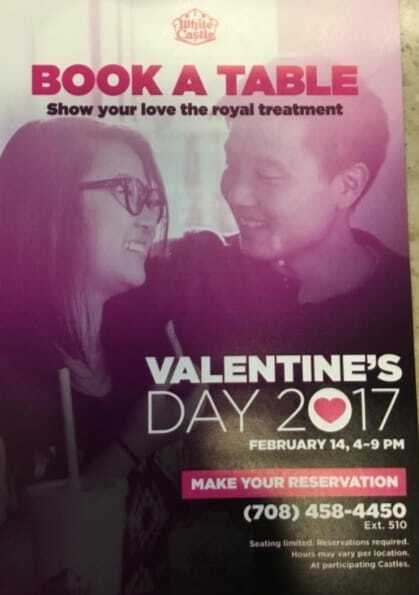 You see, White Castle is offering reservations on Valentine’s Day. For those of you who are not familiar, White Castle is a drunken-fratboy staple fast food restaurant. Not even remotely expensive, Mr. 1500 is going to get away with dropping less than $20 on our Valentine’s Celebration. And that’s even if I supersize it. Mr. 1500 note: I was so excited when I learned that White Castle offers a Valentine’s Day dinner, complete with table service. Going out for a Valentine’s Day dinner at the WC would be a huge departure from our usual tradition of doing absolutely nothing. 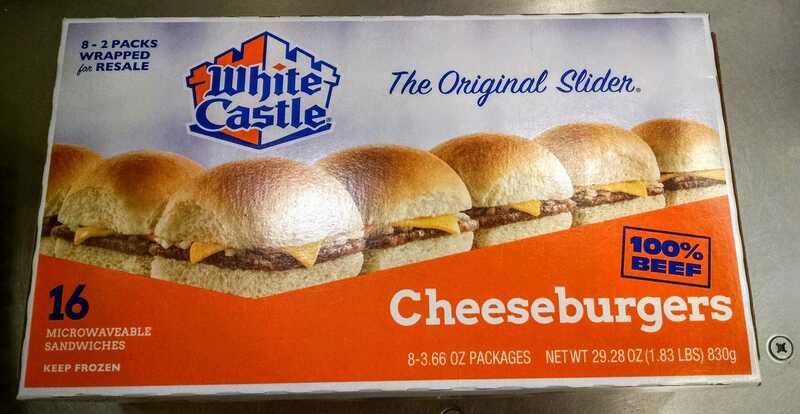 My Slider dreams were almost deferred when I leaned that the closest White Castle is over 800 miles away in Las Vegas. Alas, all hope is not lost. I remembered that the local grocery store sells frozen versions that have the same bad taste as the restaurant. Valentine’s Day is on baby! So, dear readers, regale me with your cheap stories. I’m not talking your “I used a coupon!” stories. I want to know the best of the worst of your cheapness. No, I would not change anything… …I love it. So, despite the Switzerland Water Incident, it all worked out for the best. Onward and Upward Mad Fientist and Mad Fientista! More 1500! : Mrs. 1500 launched a Facebook group recently for the blog. If you fancy more interaction, please join us: https://www.facebook.com/groups/1500days Feel free to discuss money, frugality or White Castle. 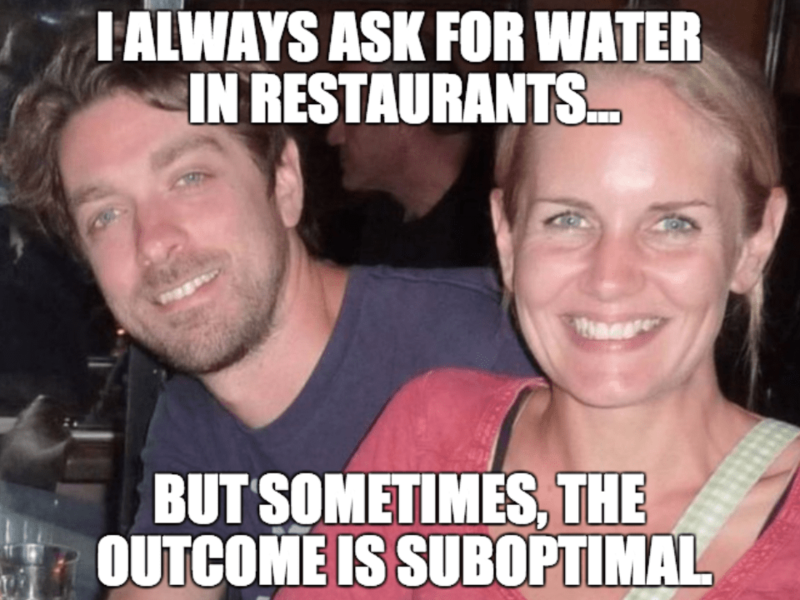 We went out to a Danish restaurant during this Danish vacation and order tap water. It cost 10 DKK per person (almost $2 CAN). 🙁 Eating out in some of these European cities can get extremely expensive. 2. Made a home-made dinner for Valentines Day because I was too cheap to take Mrs. T out. 3. Walked for 10 minutes to save $5 worth of parking. I don’t think it’s cheap to walk 10 minutes to save $5 on parking (as long as there are no health or safety risks). I would much rather get some exercise and spend the $5 on something that brings more value or enjoyment. That’s true it’s not considered cheap within the PF community, for some people that’s considered cheap. 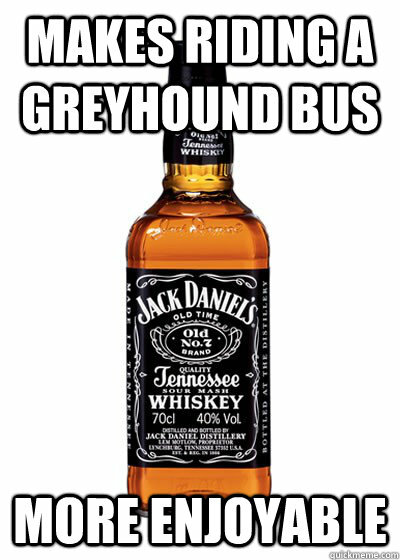 Just for you GreyHound fan! Pretty much most of Europe only does bottled water in restaurants. That being said there is one bonus. In some countries like Germany the beers cheaper then the water! In all serious the cheapest thing I’ve ever done… My then two year old threw a harmonica at our relatively new big acreen. It ended up with a 1 mm crack vertically across the center viewing area. However it still worked like that, for another year. Yes, the ftf watched a tv with a giant crack distorting our view for an entire year. Given my wife and I probably watch at least one thing on Netflix a night that’s no small feet. It was actually my wife’s idea. To this day if we rewatch a disney movie with our child he asks where’s the rainbow mid screen… ahh kids. The cheapest thing that I ever did was take my Prom Date to McDonald’s. We had won the District Championship in baseball but the game had gone into extra innings on Prom Night. I then asked my date if she preferred to go to the expensive place where we had reservations or if she preferred to grab McDonald’s and go to Prom. She chose McDonald’s where the take thru was broken. So we decided if we’re already in here we might as well sit down and enjoy it. Cheapest thing I’ve ever done? Probably going to Costco for the free samples even though I wasn’t going to buy anything. I was young and unemployed at the time, and it was the cheapest way for me to get food. The free samples are awesome. There was a couple of us that would do that occasionally for our lunch break at work. If there wasn’t enough free samples to eat, then we would add on a $1 slice of pizza each and we were all set. Just like Mr.Tako, the cheapest thing I’ve ever done was going to Costco during lunch and after dinner for free samples because I was lazy and didn’t want to make food or spend money. Between the two of us, we spent $1456 for the month long trip. Although we did have our tent collapse under snow (in Yellowstone) and get blown over (in South Dakota). So not total luxury accommodations. Recently California banned plastic bags in stores and you can bring your own or pay $. 10 a paper bag. I made my husband go to the car and get the bags because I was too cheap to pay the 10 cents. The kids still teas me about this. I also made my own syrup for a while because regular syrup in the store was so expensive. But my family thought I was too cheap and my husband vetoed it. I’m always looking for ways to cut my grocery bill. Homemade Taco seasoning is another one. I go back to the car to get bags because I hate the waste of the plastic bags. We don’t get charged $.10 for a bag, but get a $.10 credit for every reusable bag we use, so I guess it’s the same thing. I’d make my own syrup if I knew how. My Dad always made our syrup when I was growing up! It’s super easy. You just boil down a bunch of sugar water and add a tiny bit of Maple syrup extract. 😛 Sorry I don’t know the amounts. I was too cheap to buy the plastic bag at our department store and did the rest of the day shopping clasping a handful of underwear and the receipt. Look up instructions for brown sugar syrup. It doesn’t taste like real maple, but it’s much better than any imitation sold in stores. It’s super easy. Or, cook down apples with a little sugar, a little water, and a generous sprinkle of cinnamon and have that with pancakes or waffles. Strawberries don’t even need to be cooked. Just sprinkle with sugar and wait. They’ll make their own syrup. Homemade taco seasoning = chili powder, cumin, oregano, garlic, salt, and a squeeze of lemon or lime. Cheaper than the packet, plus you know exactly what’s in it. Great stuff all! We love frugal dates of all kinds in our house. I had been working for a couple of years and I was sent on a business trip to Germany and Amsterdam. At the end of this trip I decided to do a little personal travel and went to visit my sister who was, at the time, studying in Sweden. This was in February, the absolute best time of year to visit Sweden. I highly recommend it, especially if you are vampire and not so fond of the sun. My sister lived in a teensy tiny town in the middle of nowhere. I was flying out of Stockholm back to India, and I had an early morning flight. I was too cheap to pay for a taxi (the conversion rate from INR to EUR made my precious INR shrink alarmingly fast), and the bus service didn’t run all night, so I took the last bus in the night to Stockholm and planned to spend the night at the airport. This plan didn’t go well. Shuttles from the bus depot in Stockholm to the the airport didn’t run all night. So I settled down on a bench for 40 happy minutes and then was asked to leave because the bus depot shuts down for the night! So I was standing outdoors, in multiple feet of snow, with two suitcases and about five hours before I could get back into the bus station and on a shuttle. I spent the night at a 24 hour coffee shop. I only found said coffee shop after walking around in the snow with my suitcases that got heavier by the minute for what felt like an eternity. Worst. Night. Ever. Cheapest? We got married at the courthouse and didn’t have a wedding. That’s mostly due to the hatred of wedding planning, though. Other than that? When I was in college, I was invited along with my wife (then girlfriend) to an acquaintance’s wedding. I was so broke at the time that I got them a pizza pan for $20 from their registry. What made it even worse was that the wedding turned out to be really nice with excellent food. I still feel horrible about that gift to this day and even think sometimes about going back and giving them a real gift one day. I… adore the idea of eating at White Castle for Valentine’s Day. Hell, Mr. Picky Pincher and I had our first Valentine’s Day at a divey pizza joint. It was empty and the tables were sticky with God knows what. It was a $6 pizza though! The cheapest thing I’ve ever done? Hmm. Probably wearing clothes with holes in them. I also reuse tissues to within an inch of their life. I literally blow holes in tissues before I will throw them away. It freaks out Mr. Picky Pincher, which is 50% of why I still do it. Wait, it’s wrong to wear clothes with holes??? You’ll need obtain some and then to do a tiny bit more laundry, but why not use fabric handkerchiefs? They’re easier on the skin, too. The whole carrying-snot-around-in-my-pocket thing has me avoiding handkerchiefs unless my nose is raw from multiple-day runny noses. I also don’t know if it was cheap or smart. But they had 5 cent ears of corn at grocery one day. I filled over half the freezer with those bad boys and it lasted forever! When everyone was living on ramen this bad boy had corn! That brings back memories. In college we found out that the local meet process plant resold Deer meet for the price of packaging if the hunter didn’t claim it. We ate deer prepared any way you can imagine daily for the entire semester. The meet was something like 30 cents a pound when all was said and done. When I was in undergrad in Montreal about thirty years ago we only had one washer and dryer in the dorm for about 100 students. I can’t remember how much it cost per load but I remember the dryer was so crappy (probably from years of student abuse) that you’d have to pay for about three dryer cycles for each load to get them dry. Also, you’d be waiting for days to try to find the washer and dryer empty. I started hand washing my clothes every time I showered and then air dried my clothes in my dorm room. I don’t think I paid for a washer or dryer for almost four years. 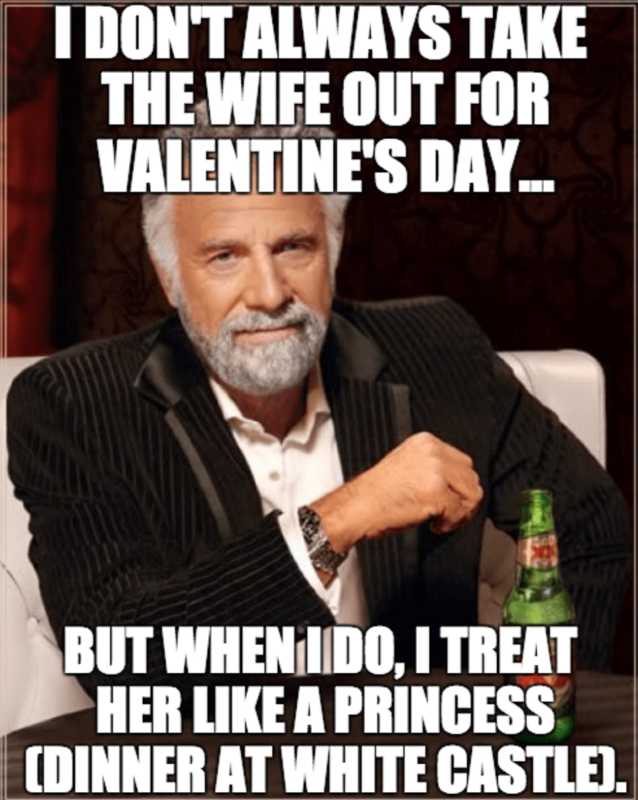 My wife and I could simply buy gifts we plan to return for each other, but rather skip that whole process as we walk about town we say “I thought about buying you that.” It’s the thought that counts anyways. I’ve slept in airports to save, but I think one of my better cheaper moves was cowboy camping with a friend amongst the trees outside the all-girls dormitory after the Chicago Jazz festival. I have in (boulder colorado) watched as middle-aged women leave food on their table. My plans to scavenge it (something I do regularly if I’m out and see free food or beer left over) were interrupted by a quick waitress. She was working our table, so I called her over, and pulled the piece of pizza off the plate in her hand and ate it. She was dumbstruck. Same town, I’ve scavenged a half-empty pint. Tasted it. Didn’t like it and took back to the bar and had it replaced with a full new one of my choosing. Some question my ethics, I say I’m just getting the customer’s dues, but paid to me. I’ve many useful items others have lost or discarded. Along High Lonesome trail, I found someone had thrown out underwear as trash. I packed them out as litter, but at home washed them and these are in my rotation. I used to bike Longmont to Boulder. I’ve found: a leatherman, a Rubbermaid lid with someone’s name on it which as filled need in our Tupperware line-up, other items. I do many bargain things, but you’d have to ask people around me, as I barely remember doing them anymore. Seems like life at this point. I vote for Casey too! Used drawers??? As we say in the South, Sugah, you win!!! I am happy with hand-me-down clothes from my mom. We have a similar style and size. This winter, my favorite jacket and cardigan came from her. There’s probably a ton of things that I don’t do anymore but probably save me a lot of money during those years! Thank goodness I’ve upgraded to healthier meat choices! Well, as an adult (not a starving student) I did once bike 50 miles (with all our stuff on the bikes) to go to a B&B for a night in a cute, romantic town. We had a super cheap rate on the B&B and took our own picnic for the dinner. Can you say Chuck Shaw? The whole two days cost very very little. I was so distracted by jealousy that y’all were gonna do the White Castle Valentine’s (we haven’t done Valentine’s Day in a decade, my insistence), that I forgot what mine was but another commenter reminded me. I was so tight on money at the end of college (you can tell I’m still embarrassed by this a million years later because I’m already justifying it), a friend unexpectedly invited me to her wedding and my budget was bare so I bought her baking pans, not even the ones on her registry, for less than $20 and had to cover up the “CHEAP PRICE HERE” printed on the box with stickers. Still mortified by that. And she was the nicest person, I had just already bridesmaided in four weddings that summer and could not afford a nicer gift. I hope she doesn’t remember! After arriving at the train station in Edinburgh, we thought – why pay for a taxi, we can walk this! At the time I also had a fever and the worst headache of my life as I unknowingly had lyme disease. After an hour death march we finally made it, too stubborn to hail a taxi along the way.